^^ Flights: Flights ex Sydney and Melbourne with based on Vietnam Airlines. Flights ex Brisbane and Perth are based on Singapore Airlines. ^ Transfers: Surcharges apply for flights arriving between 10pm - 6am, and departing between 12am-6am. Prices on application. 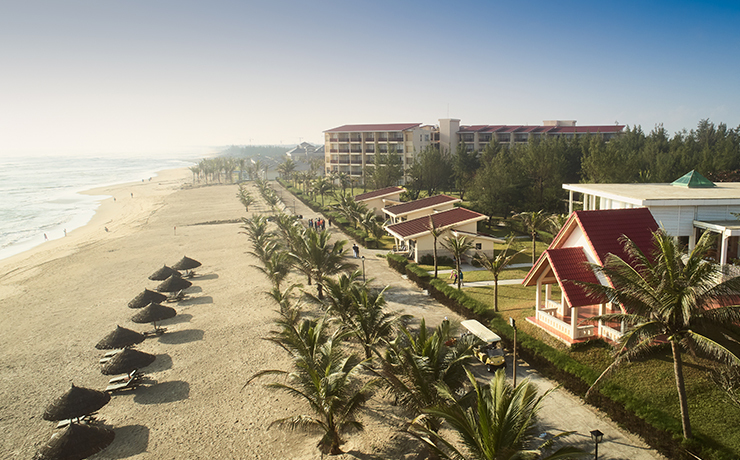 Set directly on Non Nuoc Beach on a massive 42 acres this expansive property offers comfortable accommodation to suit all types of travellers. With manicured gardens, 2 pools, Spa, large beachfront and several restaurants and bars. 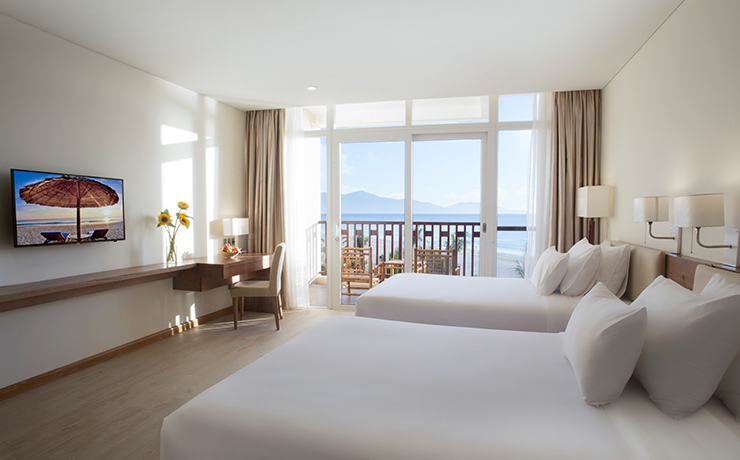 It’s the perfect place for a relaxing beach holiday within close proximity to the centre of Danang and also Hoi An ancient town. 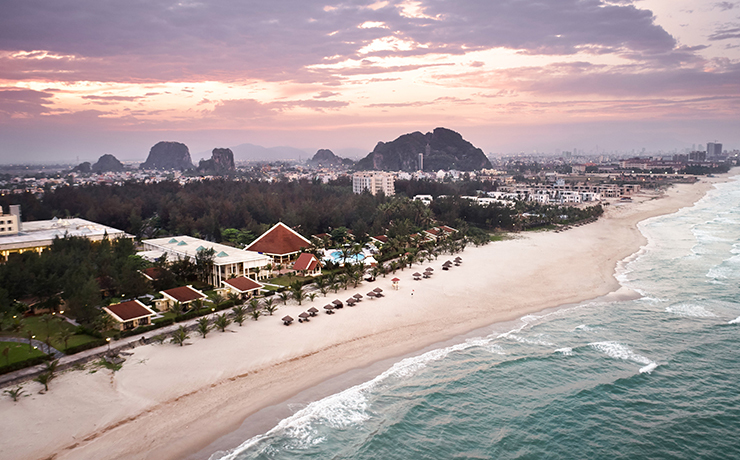 Located on Non Nouc Beach in Danang only 20-minute drive from Danang International airport and a short 25-minute drive to Hoi An ancient town. 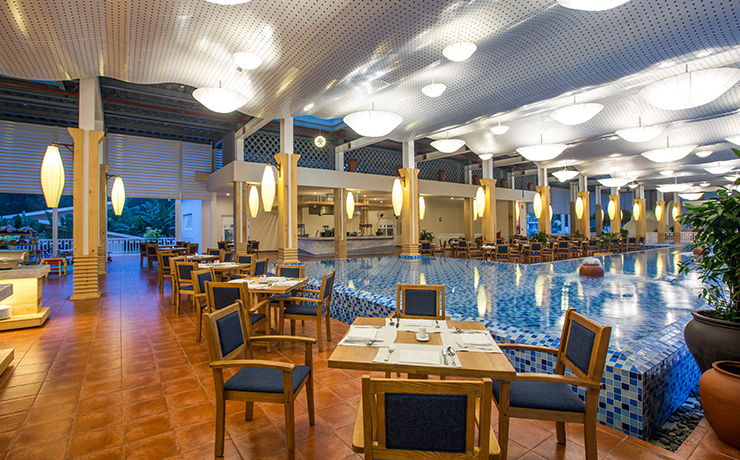 The World - located by the lobby area and open for breakfast, lunch and dinner daily. 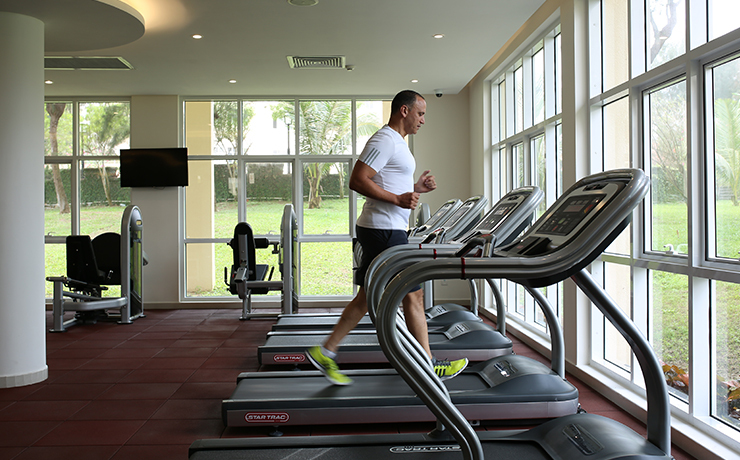 Serving and extensive buffet for breakfast and a la carte lunch and dinner with a range of western and Asian dishes. Ginger and Lime – open for lunch and dinner with indoor and outdoor dining, specialising in more Asian and seafood dishes but also has a range of western food available to curb all cravings. 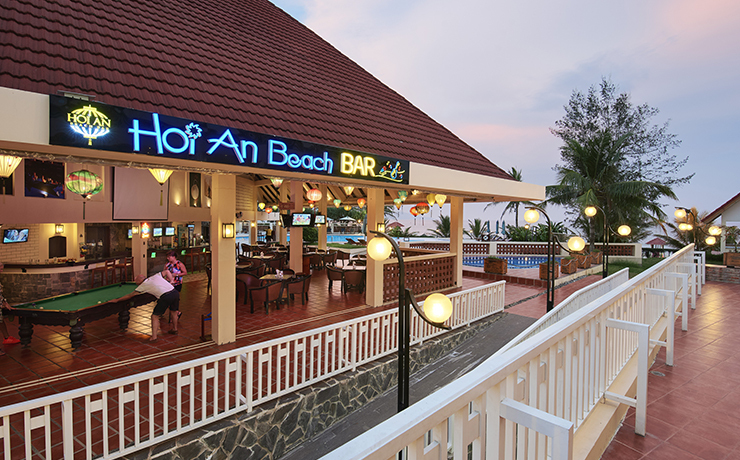 Hoi An Beach Bar – open for lunch and dinner Located by the main pool serving a huge range of drinks from beer to cocktails along with light snacks like burgers and pizzas. 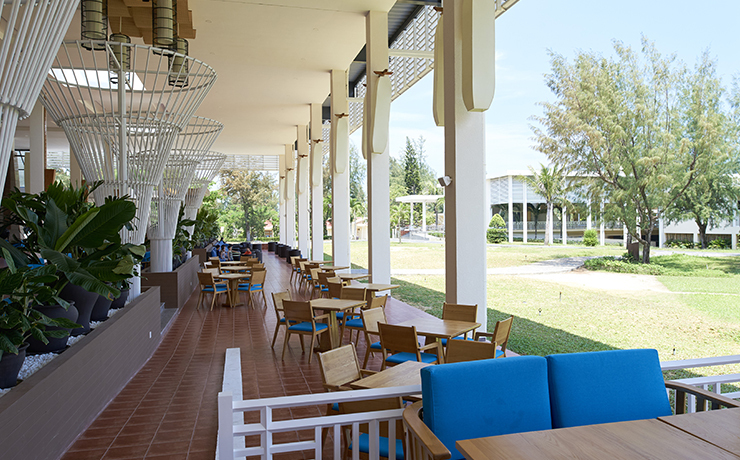 Breeze Bar – open for lunch and dinner serving Vietnamese comfort food think rice paper rolls, Vietnamese pancake and salads. Along with a good choice of drinks. Lobby Lounge – located in the lobby area a small bar serving drinks and light refreshments. 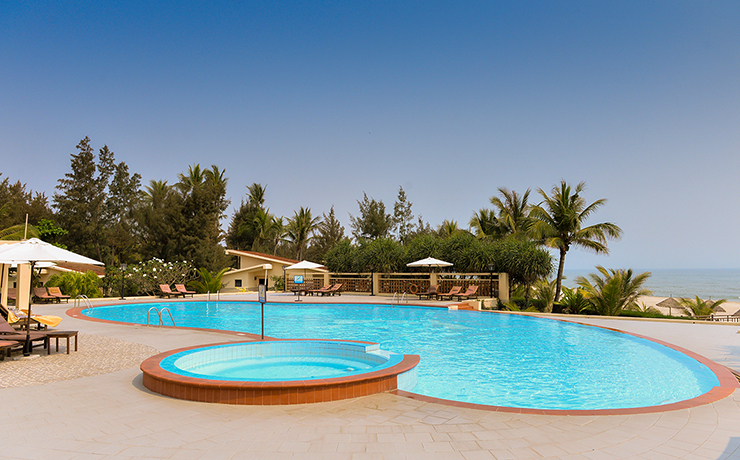 Every room, bungalow and villa is conveniently located a short stroll away from one of the two resort swimming pools or the beachfront, and offers living spaces of up to 90 square metres including a balcony that let the garden or seaward views become a dominant feature. Some of the rooms in this property have no balcony (very common in Vietnam for a window only) we don’t offer these rooms for sale. 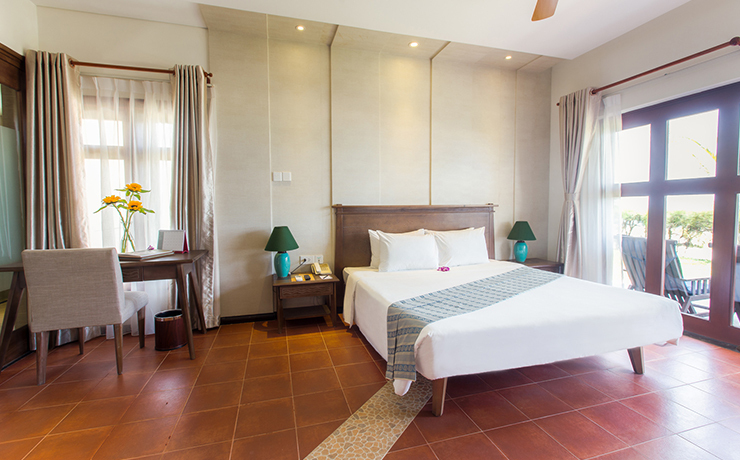 Bungalow Garden rooms - Scattered around the resort gardens, the 38 Bungalows offer Garden Views these comfortable retreats are perfectly suited to couples of friends with Queen or twin bedding available. These are all locate on ground floor and have a shower over bath. 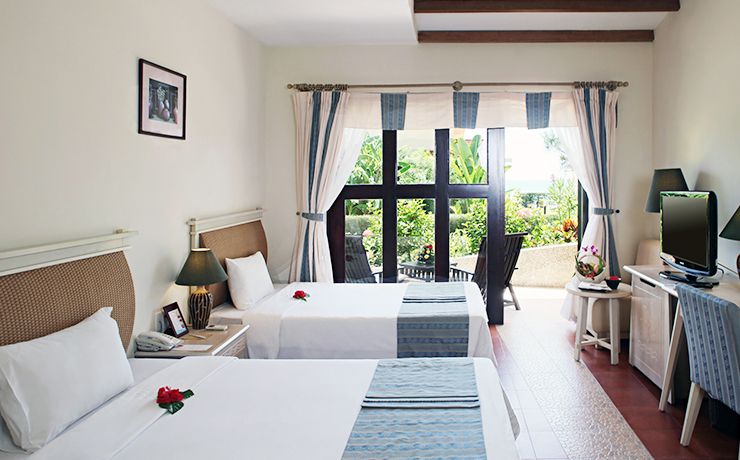 Premium Deluxe Garden - Retreat to your Premium Deluxe Garden View room, complete with a furnished balcony for lounging. These rooms feature living areas of 46 square metres, including the option of a king-sized bed or 2 double beds families or up to 3 adults or 2 adults and 2 children sharing 2 beds and a bathroom with shower. 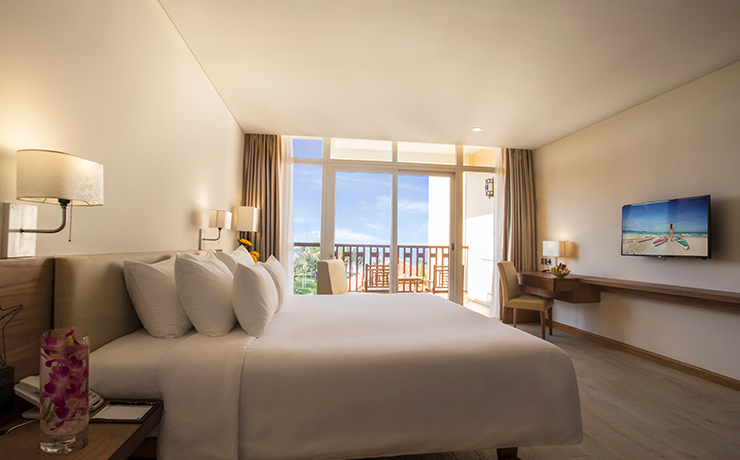 Premium Deluxe Ocean - Set in the brand-new ocean-front building, the Premium Deluxe Ocean View rooms feature a furnished balcony with fantastic views over the ocean. With the same bedding as the Premium Garden rooms these can take up to 3 adults and 2 adults and 2 children sharing the bedding in the room. Villa Garden – Located amongst the gardens, these villas are very spacious at 90 square meters with a bedroom and separate living area and a good size bathroom with separate shower and bath. Villa Ocean – These are the same as the Villa Garden just the location changes with the beach as your back drop in these rooms. ^^ Flights: Flights ex Sydney and Melbourne are based with Vietnam Airlines. Flights ex Brisbane and Perth are based with Singapore Airlines. ^ Return airport transfers: Surcharges apply for flights arriving between 10pm - 6am, and departing between 12am-6am. Prices on application.